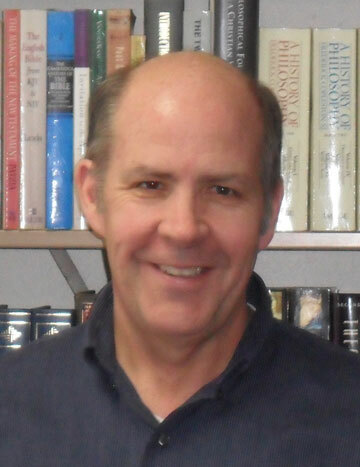 Dennis Ingolfsland is the Director of Library Services and a (full-tenured) Professor of Bible at Crown College in Minnesota. He is also the pastor of Valley View Baptist Church in Shakopee. He is a veteran of the United States Air Force and has a B.A. in Biblical Languages from Calvary Bible College, an M.A. in Library Science from the University of Missouri in Columbia, an M.A. in Theological Studies from Fuller Theological Seminary and a D.Phil. in Religion and Society from Oxford Graduate School in Tennessee. Dennis is happily married to Sheila who has a degree in management and ethics from Crown College, works at a fabric store and takes care of their granddaughter with Down Syndrome full time. They have three children and five grandchildren. 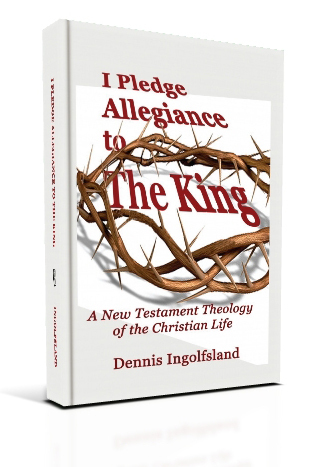 Dennis has published one book (The Least of the Apostles), three ?Kindle books? (Clement of Rome; Salvation by faith or works? ; Jesus, Muhammad and Fundamentalism; The Third Quest for the Historical Jesus; a bibliographic guide. about 35 articles, 70 book reviews, a dozen scholarly conference papers, and over 4,400 "posts" on his blog. His travels have taken him through almost every state in the lower 48, and as well as to numerous countries including, Mexico, Canada, England, Germany, Israel, Egypt, Jordan, Turkey, Greece, and even Iran.
? ?Jesus is not our co-pilot. He is not our spiritual advisor. He is not some kind of genie who exists to grant us our every wish. He is our Creator-King to whom we owe absolute devotion, allegiance and service.? ? ?the fundamental disposition or direction of our heart is either ?allegiance? 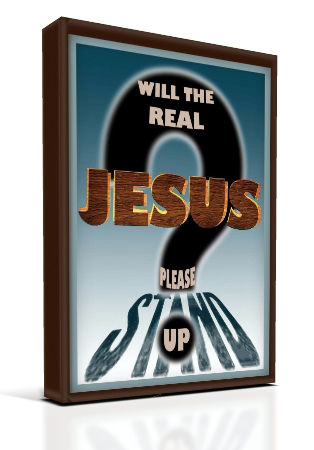 to Jesus our King, or allegiance to some idol, whether that idol is some religion, or our money, our things, or even ourselves.? ? ?it?s not that there is anything wrong with ?making a decision for Christ,? or ?accepting Christ? or ?asking Jesus into your heart? as long as you understand that these are just short-hand phrases we use to refer to a heart of repentance and loving devotion to Jesus the King, and are not some magical formulas you recite?? Learn more about Paul's ministry and message in one week than many Christians have learned in a lifetime. 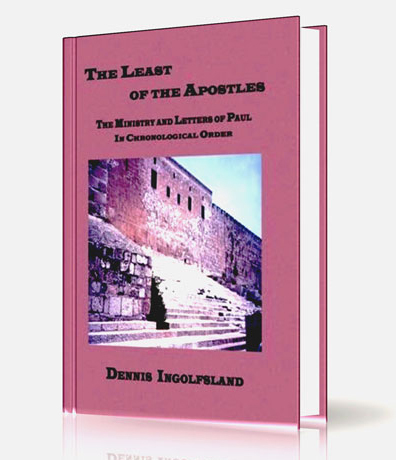 The Least of the Apostles, which is how Paul described himself, is designed to be a simple, easy to read, overview of Paul's ministry and message. The book places a carefully condensed version of Paul's letters chronologically into the historical story of Paul's ministry as recorded in the Book of Acts. Brief introductions to each letter and footnotes on historical background help the reader better understand Paul's ministry in the broader context of ancient Roman history.